Exciting things are happening at ABC East Lanes, and we’re looking for team members to join us. Together, we can transform ABC East and give our guests the awesome experience they deserve. We’re hiring now for part time members. 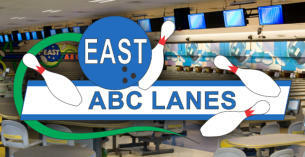 As a new team member, your energy, enthusiasm and unique skills will be the face of ABC East Lanes. ABC delivers all of this and much more: the magic of creating unique experiences for our customers, and a strong sense of community. What's it like on our team? Friendly. Fun. Collaborative. But that’s just the beginning. We offer our team members discounts in bowling,food and also the pro shop. Interested? Apply online by clicking the button below or in person by visiting the lanes. Qualified candidates will be contacted.